The BMW 8 Series is a V8 or V12 engined Grand Tourer assembled by BMW from 1989 to 1999. A standard misconception is the fact that the 8 Series was created for a successor, although it did supplant the initial E24 based 6-series in 1991. Nevertheless, it was really an totally new category aimed at a distinct market, with a considerably higher cost and better performance than the 6 set. Layout of the 8 Series started in 1986, with construction beginning in exactly the same year. The 8 Series yet had considerably enhanced functionality, including a much higher cost. Over 1.5 billion Deutschemark was allocated to complete development. BMW used CAD tools, still unusual in some time, to create the auto's allnew body. Coupled with wind-tunnel testing, the resultant auto had a drag coefficient of 0.29, a significant development in the last BMW M6/635CSi's 0.39. 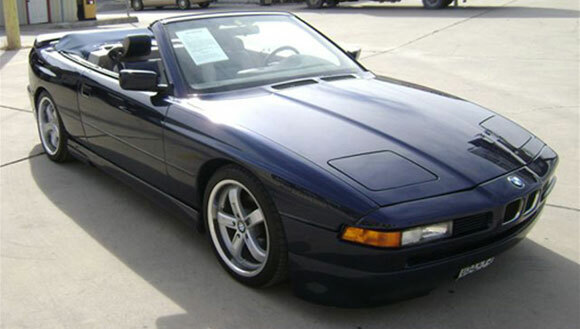 The 8 Series was one of BMW's first automobiles, jointly with the Z1, to make use of a multilink rear axle. While CAD modeling enabled the car's unibody to be 8 pound lighter-than that of its forerunner, the vehicle was considerably heavier when finished because of the big motor and added luxurious items--a generator of criticism from people who wanted BMW to focus in the driving experience. A number of the auto's weight might have been because of its pillarless "hardtop" body design, which lacked a "B" post. Revenues of the 8 Series were impacted by the global downturn of the Persian Gulf War, the early '90s, and power cost spikes. BMW pulled the 8 Series from the North American marketplace in 1997, selling just 7,232 automobiles over seven years. The greatest global creation total was 31,062. The base cost for an entrylevel 8 string within the early 90's started within the USA $70,000 range; $115,000 in 2012 dollars.